5/26/15 You are more powerful than you have ever imagined. Read below to understand what your level of power and authority parallels. Pretty cool stuff. Source, God, Divinity, All That Is, are all names used to describe the Intelligent Power that created everything seen and unseen. This Intelligent Power is pure Love. This Intelligent Power is Love in thought form, pure energy. All That Is as pure Love energy created everything that exists out of Itself. You are made of the same energy vibration as everything else. You and everything else make up the totality of All That Is. You are as much a part of God as All That Is. You are Source, a part of Source; you make up Source. This is the connection with Source. You do not consciously realize this while in the physical. You have taken on the ego deliberately for this reason, to feel separate from everything else. Your natural state of being is pure thought energy, consciousness. You are literally as the Bible said, made in the image of God. You are a fractal of Source, a smaller version, a microcosm. Your natural state is Spirit. As Spirit, you create. You create in the same way Source creates. You use energy, initiated by your thought, to have energy work with you in creating your thought. There is no separation between you, your thought and what you created, except as you believe there is. You are in constant expansion. Source as All That Is is constantly expanding. Each thought is a part of your consciousness that is sent out as a vibration throughout All That Is. Think of it as a ripple in the pond. Your thought is the pebble dropped into the pond. Breaking the surface of the water, your thought creates a ripple that extends out in all directions. Since All That Is is thought consciousness, you have an affect on everything. You affect the consciousness of All That Is to the same level and degree as anyone or anything else. That is worth repeating to allow it to sink in. Take a moment to absorb this for it has a huge impact on your future thoughts, and the belief in your level of importance in the Universe. You affect the consciousness of All That Is to the same level and degree as anyone or anything else. That means your thoughts are significant. You have power beyond your imagination. You impact world events by sitting at home. You influence the direction of All That Is through the choices of the thoughts you create. Is this sinking in yet? Are you in awe yet of your part in what you see around you? Are you starting to think about the things going on that you blame others for? 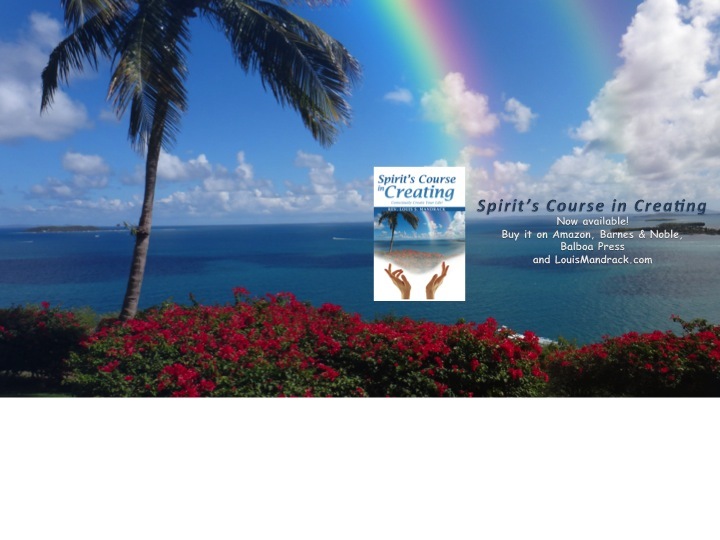 If you like reading this material, you can now get Spirit’s Daily Inspirations, a few sentences, right to your inbox every morning to start your day focusing on creating what you want. …and its FREE. Who came up with that idea?